Earn $1.84 in VIP credit (184 points)What's This? 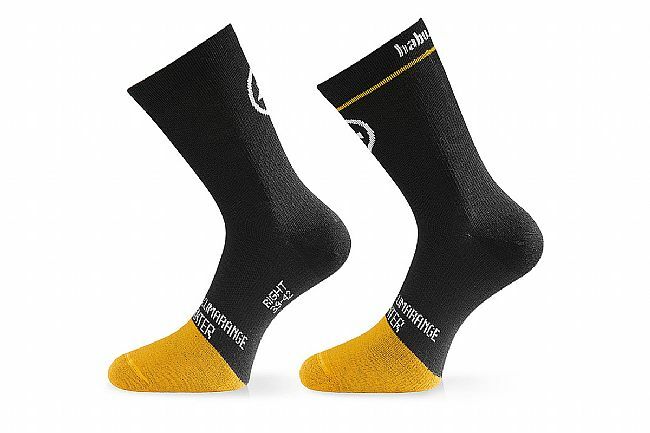 The habuSock_evo8 Socks from Assos is ideal for early winter riding thanks to antibacterial treated Merino wool. Wool’s inherent temperature and moisture regulating properties maintain warmth and dryness while a supplemental antibacterial treatment ensures even longer lasting freshness through repeated use. The toe is reinforced to ensure long term durability while light compression facilitates optimal blood flow. These socks are left and right specific for a sound, anatomic fit.